There’s something truly magical about having a baby surrounded by all the things and the people you love most. Nothing but pure emotion from start to finish, get this tissues out for this home waterbirth. A homebirth that takes you on a journey from disappointment, to joy, from gender reveal to every aching moment of birth. Just beautiful. Just a birthing mumma, a dad with a GoPro and a bathtub. 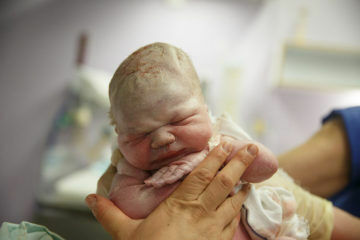 Kai’s parents released his placenta into the ocean 12 hours after he was born. 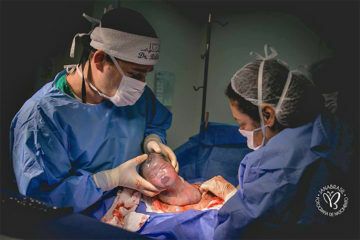 A peaceful homebirth with big sister watching on – and an underwater camera that captures little Lucca’s grand entrance. You can almost hear a pin drop as this baby enters the world – the silence only finally cut by the baby’s cries and mum saying, “That was so easy”. Crickets chirping turns to birds singing as the calm, outdoors homebirth heads into the final stretch. The Kahler family wanted nothing more than to birth their twins at home, and everything started off well. But things took a turn when Kelly got to seven centimetres dilated.